Since its announcement way back in 2016, we've learned precious little about Hideo Kojima's Death Stranding. We've had a few trailers, but they typically provide more questions than answers, and everyone is left wondering what on Earth this game will be like. While this interview with the game's star Norman Reedus doesn't get us much closer, he does shed some new light on how the obscure title is shaping up. Regarding the game itself, the actor does his best to describe it in broad terms: "The concept is so far out into the future. Instead of eliminating everyone around you, it’s bringing everyone together. It’s a very positive video game, but scary and depressing at the same time." When asked about the various trailers, Reedus says they're designed for fans to pick apart: "[Hideo Kojima] keeps telling me people will watch all these trailers, they’ll come up with these ideas and look for all these Easter eggs, and they have been doing that." He continues: "The trailers show you an aspect of it, but not a whole picture of what the game will be. That’s like a whole other thing. It’s complicated, it’s a crazy complicated game. I’ve been learning a lot about video games doing it." We can't wait to see what Kojima's been cooking, and after showing the game off to a couple of developers, current speculation is that we might see it sooner rather than later. From these comments, it sounds like it's going to be insane, in a good way. Are you excited to learn more about Death Stranding? Scour the trailers for clues in the comments below. Clearly he’s been coached on what he can and can’t reveal. It sounds very promising though! I’m more excited about it with each new nugget of information. Very excited for this, still bummed over Silent Hills being cancelled, but this seems like it's got quite some horror elements to it as well. Kojima has everyone on lockdown with this game! I feel this is being too overhyped. I’m going to be disappointed when it’s just a 3rd person adventure game with mmorpg elements and multiple endings. Hopefully I’m wrong and we’ll see something truly different. Oh my god, just show the oscar bait cinematic tripe already. Awesome. My body is ready. And I'm going to call it, it'll be out this year, along with Last of Us Part 2 and Ghost of Tsushima. It better be something new. I’m tired of these first party games being unoriginal. I hope it isn't a case of the build up being more exciting than the game itself I can't wait to learn more! @wiiware More interesting than Dreams? Personally I am not yet convinced that this is a 'must buy' game. So far, the trailers have looked 'pretty' but nothing yet to say what the game-play mechanics will be. If it was a trailer for a movie, it wouldn't be something I would consider watching. It has 'niche' appeal in my opinion - a concept that a few will absolutely love whilst the majority are more 'meh' to it. He has absolutely no idea what this game is about. Seriously, what is this game? Its actually a game where you can play coop with Aliens who invaded Earth in the future and in real time, so you can still be hyped. I don't expect to ever understand what's going on with this game, but as long as it's fun to just go along and enjoy the ride then it should be good. The concept looks really interesting. If it’s not crazy, it’s not Kojima. And the usual suspects are already “concerned” about this game. @wiiware Couldn't agree more with both options. 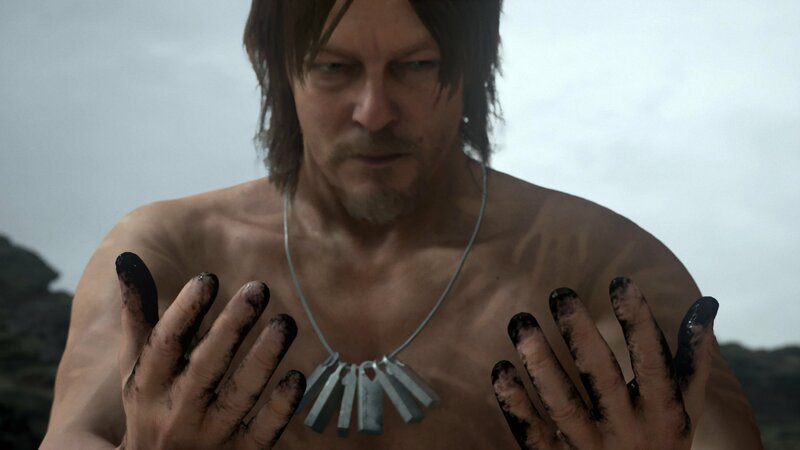 I may never play Death Stranding (not sure if it's my cup of tea), but no one can deny it looks interesting. Still looks like a FedEx employee took several hits of acid and this is the result.